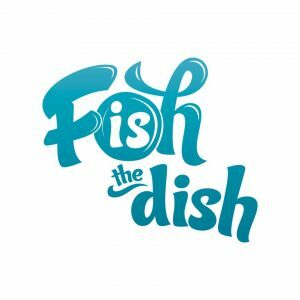 Two weeks ago I went to the Fish is the Dish Event in Edinburgh along with a few other bloggers, AMothersRamblings, MumintheMadHouse, Transatlantic Blonde, Frugal Family, Off the Beaten Track and Mediocre Mum. 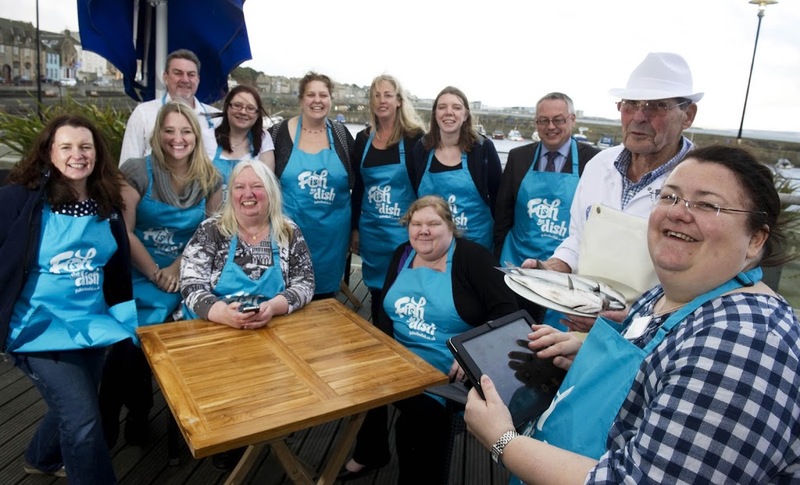 The event was the start of Seafish’s new campaign to get us eating more fish. 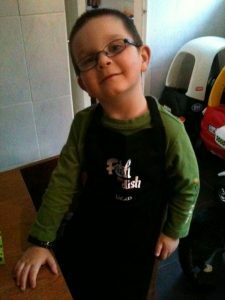 It is target at mum’s with the moto, by mums for mums and centred around fish is easy, which after my visit, it really is. 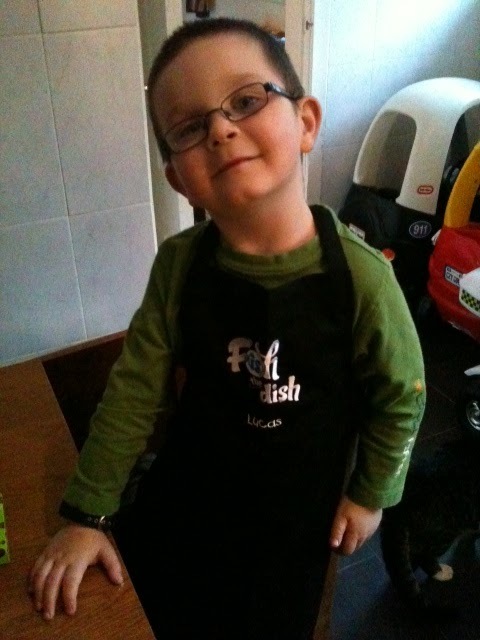 We were told by adding fish into your diet, it’s easy to do, quick and is affordable. 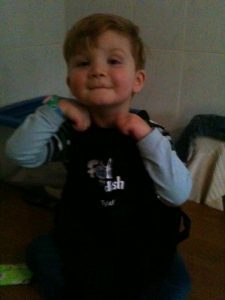 Also they dispelled the myths that you can eat fish safely in pregnancy and we do not need to worry about sustainability, there is plenty, but we do need to eat a wide range of fish. Not just cod and haddock. Myself, Jen, Pippa, Ryan and Cas stayed in the Malmaison in Leith on the Wednesday night. The hotel was lovely and it was so nice to get a good night’s sleep before our busy day at Martin Wishart’s Cook School. We had a lovely dinner at Fisher’s Seafood Restaurant on the Wednesday night. It was a relaxed atmosphere where we met the people behind Fish is the Dish, Karen and Jo along with other members of Seafish. 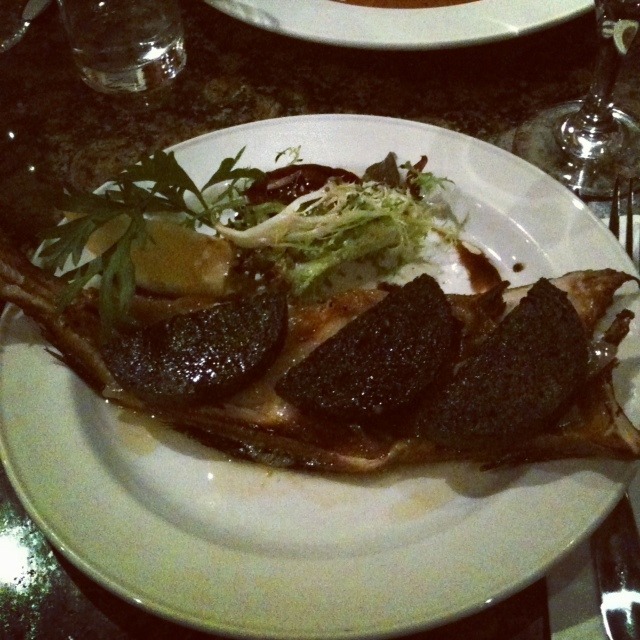 Our dinner was amazing, truly fish at it’s best. 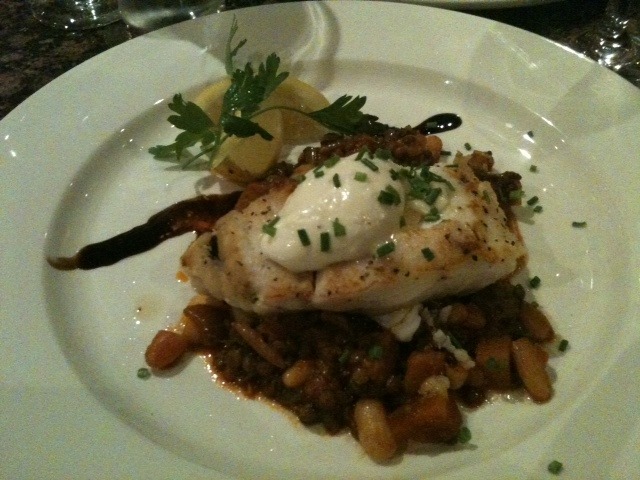 Main course was Hake with Chorizo, beans and a whiskey creme freiche sauce. 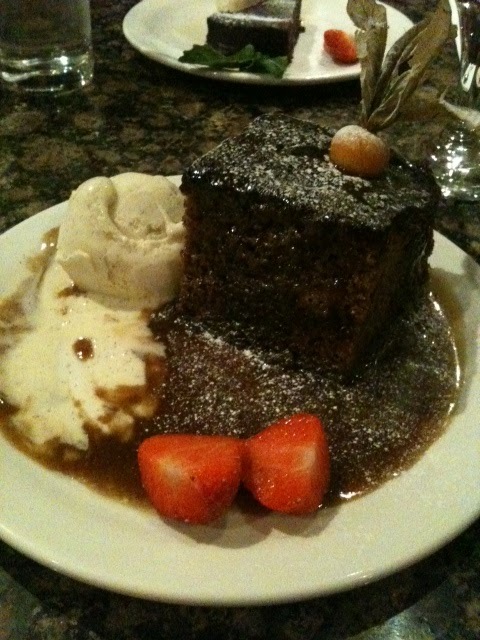 The desert wasn’t fish, I had a sticky toffee pudding. Wow it was good. 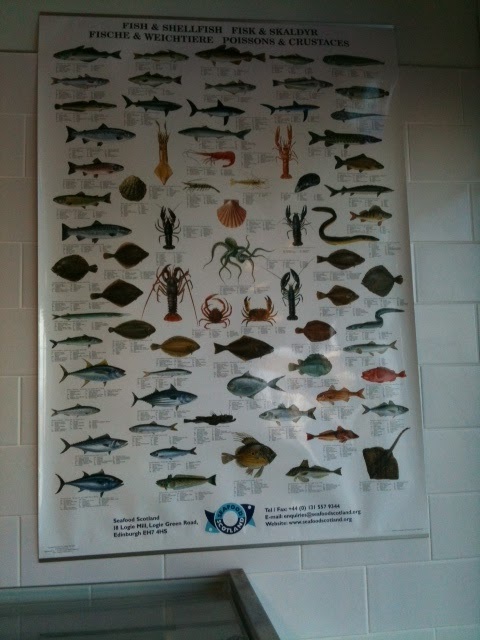 Next time you are out in a restaurant, why don’t you give some fish a try? I promise you won’t regret it. Next morning we had a talk and slide show presentation about the sustainability of fish, where it comes from , different varieties, etc. It was very interesting and we got to ask a lot of questions. The knowledge was there and these people are so passionate about their line of work. 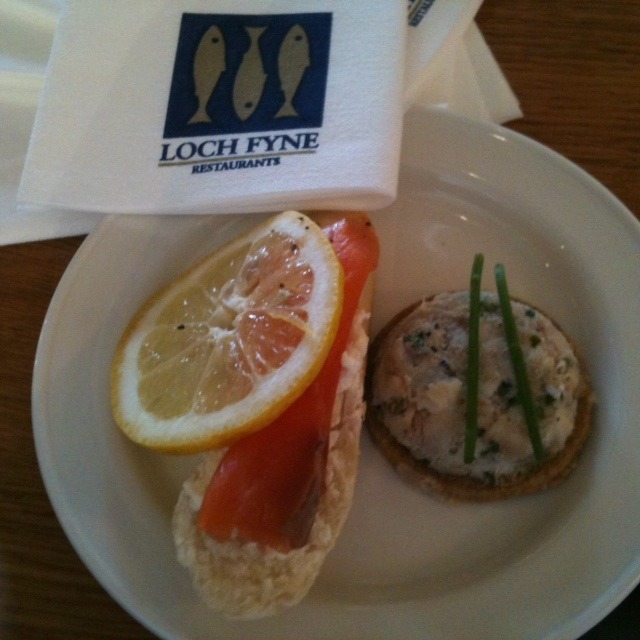 Next stop was a champagne brunch at Loch Fyne restaurant. Some smoked salmon and some smoked mackriel pate. Both are to dye for. Outside for a quick photo in the wind. A few doors down from Loch Fyne is the famous Welch’s Fishmongers, where we got to meet the famous Ken Welch himself. 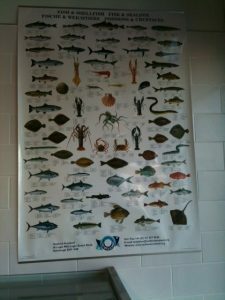 The fishmongers was amazing, some fresh lobsters still swimming around, so many different types of fish to see, but the most amazing thing about it was Ken filliting fish. He did so with such ease and quickness we were all in awe. 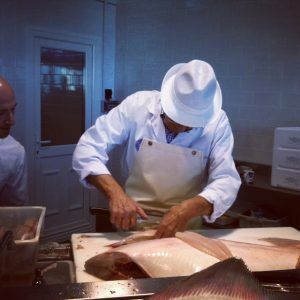 Not forgetting he filleted the biggest fish I have ever seen. After this we were wisked off to Martin Wishart’s cook school to meet the lovely Jacqueline O’Donnel celebrity chef and owner of The Sisters restaurants in Glasgow. I am going to do a separate post about my cook school experience as it will involve a lot more pictures and I will share some recipes with you. I will leave you with a look at the cute gifts we were given for our little ones. 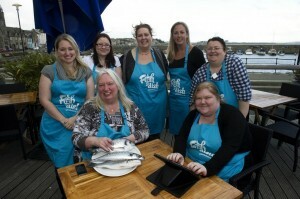 Watch this space for us cooking some fishy dishes together. In the meantime check out Fish is the Dish website which goes live today and follow them on twitter and facebook. 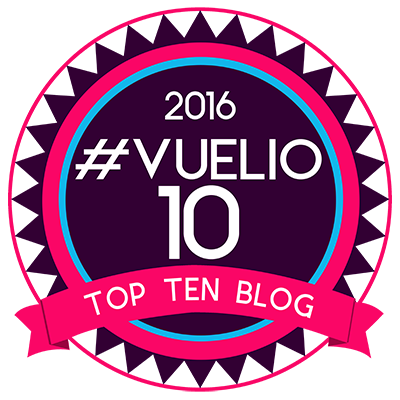 This is a great campaign and I am excited to be part of it. Fish Is The Dish. Disclaimer:- This was an all expenses paid trip as part of the Fish is the Dish event.